Today I’m going to introduce you a very simple appliance prototype, that is supposed to help us to reduce our household water compsumtion. 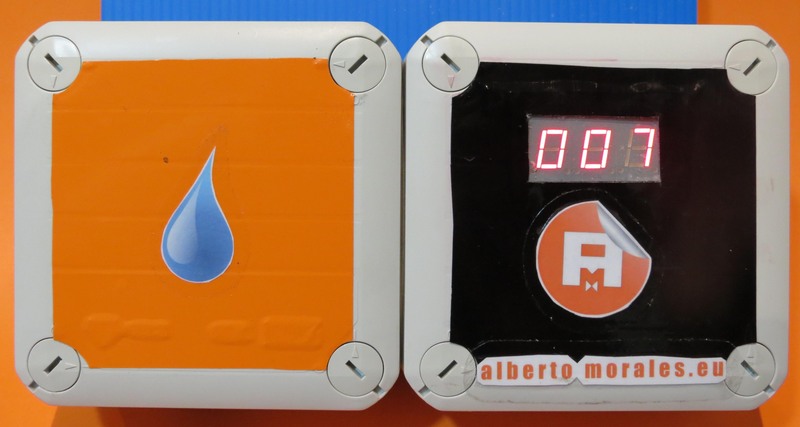 Obviously I’m NOT talking about this “lo-cost shower meter” – ECO Showerdrop. This kind of devices doesn’t manage water flow measurement, acting just as a timer, even if the manufacturer paint it blue 🙁 ! Thinking about this Massimo Banzi speech, “…scratch with your own itch…”, I decided to construct a new one, designing it from scratch. A lot of water has flowed through the shower the bridge since then 🙂 , but finally we have the first working prototype. An Arduino clone, in this case I have used the stripduino (Arduino-Stripboard from Txapuzas). 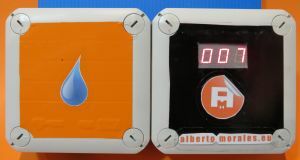 A water flow sensor like this. Three 7 digits common anode displays. Some components to drive the displays, such as decoder & shift register IC’s. It works for the purporse it has been designed: to know the shower water compsumption (and obviously, the monetary cost of it). As I always say, to measure something is the first step if you want to improve it. Now I have a lot of ToDos, so it allow me to keep “making stuff”, that i love. Improve power efficiency. Maybe it is possible to make it self-sufficient, needing no external power source (battery). And last, but not least, put it into a nice case, like this one, this one or this one. I think it could be prototyped using a 3D printer, but i have no idea about how to start, although I’ve been reading about it some time ago. Probably someone from the Maker Community can be interested in this modest project, and he/she want to start working with me in the V.2 prototype. If you’d like some doc, info, or any help to reproduce this prototype, or if you just have any questions or need further information, please don’t hesitate to contact me.